Dennett is saying "This is what those states actually are, on a lower layer of abstraction to which we have more tangible access." He is not saying, "Those states aren't real." Metaphysics -- "about the stuff" -- is mind-bending. I can say, "The helicopter is actually just a composition of various metals, plastics, wiring, computer technology, fuel, etc. in a certain organization." I can also say, "Helicopter is an abstraction of those constituent parts in that organization." But I am not saying "Helicopters aren't real." And the thing I'm talking about can still fly people about. This post is akin to saying, "Dennett says helicopters aren't real -- but people fly around in them every day. Dennett must have a screw loose." I'm a Christian, and don't like Dennett's atheistic campaigning, but Dennett has done robust and important work in metaphysics and the philosophy of mind. Let's not strawman his work. Thanks for your comment, Stan Patton. I've been reading Biola Magazine for years and have seen this kind of "straw-manning" regularly, in issue after issue. It usually takes the form of a prof, who is introduced as an "expert" in a particular topic (Buddhism, Wicca, etc. ), very briefly describing some aspect of the religion or ideology or methodology (or whatever) he's supposedly an expert in, then, on the basis of that brief description, shooting down the religion or ideology or methodology. Whenever I know a little bit about the topic, e.g., from my own explorations or from interactions with acquaintances who actually practice the religion (or whatever it is the prof is supposedly an expert in), I usually don't recognize anything I understand about it in the description provided by the prof. When I saw R. Scott Smith purporting to explain Daniel Dennett's metaphysics in about three short paragraphs, my first thought was I'm certain Dennett wouldn't recognize his own thinking and conclusions in what Smith has written here. I find this kind of thing not only aggravating, but also sad and embarrassing. It has an air of wannabeism or even desperation about it. As a scientist, I find this level of naivety and misrepresentation of modern science to be appalling, and as Mr. Irwin stated, embarrassing. I am not a philosopher, and therefore lack the requisite vocabulary to properly define the current philosophical mindset of modern science (which is why I abstain from publishing on topics outside of my area of expertise, as Mr. Smith clearly should have done). However, I can say without a doubt that the statement “And today’s scientific orthodoxy is … there isn’t anything real that’s supernatural or immaterial… and so no real “mental states” — thoughts, beliefs, experiences, intentions, etc. [do not exist]” is patently false. The author seems to be conflating empiricism, upon which modern science is founded, with other antiquated philosophical ideas that have played no role in science for at least the past few centuries. Moreover, the premise on which the entire argument is based, “…the assumption upon which our education system is founded — that Darwinian evolutionary, naturalistic science uniquely gives us knowledge of the facts…” is also absurdly false. Mathematics, Social Studies, History, Literature; none of these topics are based upon “Darwinian evolutionary, naturalistic science” (which is, as an important aside, an unnecessarily complex and obfuscatory way of saying “Science”: clearly the author is trying to overpower his readers with unnecessarily complicated phrases; a poorly disguised Gish Gallop). The author posits a false premise, builds a spurious argument upon that premise, then claims “false” the erroneous premise, and claims victory. As Mr. Irwin said, this is nothing but a page-long strawman. It is sad that Biola, an acclaimed institute of higher learning, would deem such poor writing to be worthy of publication in their magazine. It is even more depressing that they deem is appropriate to ask someone that clearly lacks experience in the sciences to write an article about science. Daniel Dennett said "consciousness is an illusion" and "there is no reality to consciousness". Of course he never supports these claims with any empirical science. The helicopter analogy misses the mark. Had he claimed the brain wasn't real, the helicopter analogy would fit. Or if one were to imagine the chopper having a personality in an anthropomorphic way, the analogy would work. But he is saying the brain is real, but the mind isn't. He is claiming, without evidence or explanation, that there is no such thing as a conscious mind, not that there isn't a mechanical brain. Dennett is not a scientist, but a philosopher, specifically a religious materialist atheist of the most extreme kind. Few Biologists would agree with his nonsense. The existence of a sentient conscious mind is actually considered to be the most unquestionable fact in all science. If it were not real, then we couldn't know anything to be real. In fact, we couldn't even think nor could there be an illusion. Contrary to Dennett's anti-science, we do think, believe, love and innovate. The mind is as real as it gets. If random chemical reactions somehow built a functional brain and the mind was a fortunate offshoot of that, then there would be no such thing as self--aware thought and there certainly would be nothing coherent as a result. There is no possibility that Dennett is scientifically correct. Yes, Darwinism does undermine education. The author overstated by branding ALL science as Darwinian, even though so many other branches of science and even biology itself, let alone other non-scientific fields of education, have nothing to do with Darwin. It is true, though, that Biology in academia is incorrectly Darwinian and materialist. The general approach approved by government for public education is to treat life forms as lucky chemical automatons, pretending that organisms are examples of random standard chemistry, no different than a pile of pebbles. While this is unfortunately taught in schools, there isn't even a hint of factual science behind it. Life is the intelligent animation of matter. All movements of all life forms are always purposeful, indicating unequivocally that life is intelligently controlled, not random chemical reactions. Humans, and probably all life forms, have a self-aware consciousness with a free will ability to animate intrinsic matter by volition. This is what the overwhelming evidence is screaming at us. Thus, this is what science tells us and it is what SHOULD be taught in schools. Biologists do not agree with Darwin. In the year 2014 we can now induce evolution in an organism by changing its environment and we can predictably get a beneficial adaptation every time, as long as it is a known stimulus-response. Mutations are NOT random as Neo-Darwinists insisted and the word "random" has finally been eradicated from the NGSS, our most recent science standards. Still, textbooks ban any discussion of teleological science and strongly and falsely imply that life is a chemical chain reaction mouse trap game. We have a long way to go in academia to catch up with science and we are moving slowly. The result is seen in the medical fields with death and suffering as the legacy of materialist religious involvement in schoolrooms. We need to get materialist religious fanaticism out of public school science class. Life is clearly intelligently controlled and conscious. We need to study and better understand that REALITY, no matter if it offends atheist cults. I just briefly read most of these comments; thanks. Yes, I needed to be very concise here, with limited space. Still, if this short essay seems to paint a misleading picture about the dominant mind-sets today about naturalism in science, then let me encourage you to consider my systematic, in-depth treatment of naturalism and our abilities to know reality, & truth, on that basis. I devote chapters (including one just on Dennett) to try to present the views of the major naturalist philosophers on how we can have knowledge. I argue that if naturalism were true, we could not have knowledge, period, & that will have significant implications for naturalist views in science. I was taught that Darwin never had a theory of Evolution, and that he fought ardently with the evolutionists of his time. And that he was searching for the mechanics of the formation of life, though initially inspired by the results of "nature's work". my understanding is that the randomness of Darwin's primary force allowed for devolution as well as evolution, so to call his theory a theory of evolution is absurd. If I understand correctly, Mr. Smith, you are arguing that our thoughts, ideas, and observations are not real, so how can our science be real. as our science uses depends on thoughts, ideas, and observations. 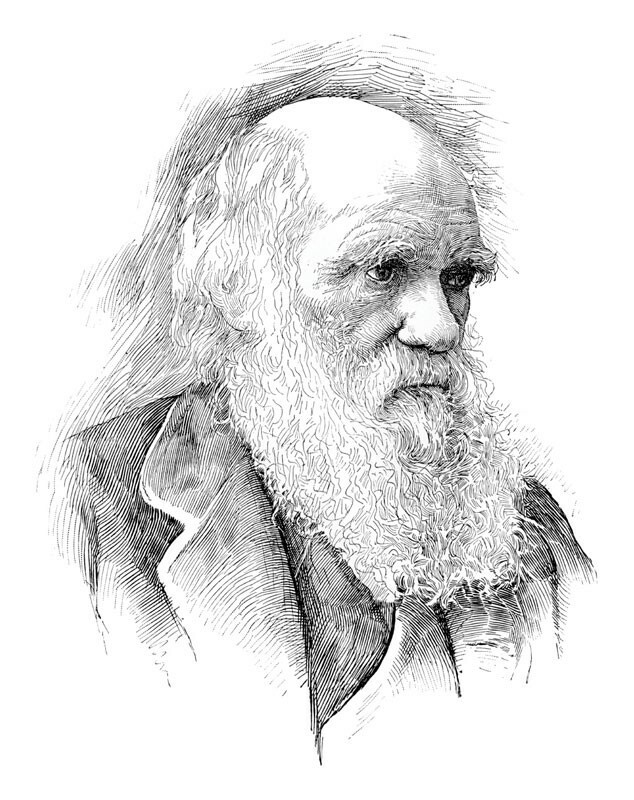 If I am correct, Darwin's contributions to science are (at least in the general public) are badly misunderstood. I would leave him out of your argument. a. we do not have the sense to detect and measure thoughts, observations, ideas beliefs, etc. if b. is correct then scientifically, your entire argument falls apart because I am able now to quantify, measure detect and report my thoughts therefore I do exist, and we can now use science in schools.